Master Strange-Love, or How I Learned to Stop Worrying and Love the Simm Master | Warped Factor - Words in the Key of Geek. Dr. Moo beats out the rhythm of four. 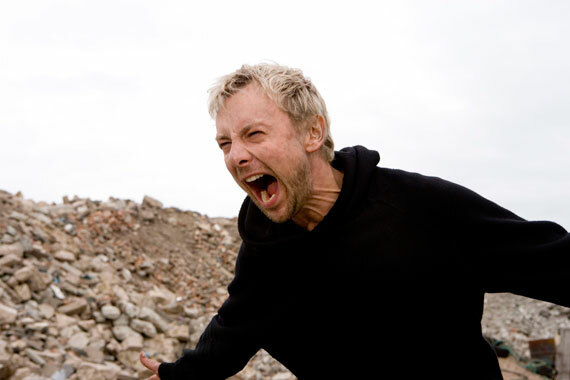 What I want to say with the article that follows is something that I never thought I would ever say: John Simm was excellent as The Master. You may not know this, but I’ve always been dismissive of the way this particular version of the Master was portrayed. 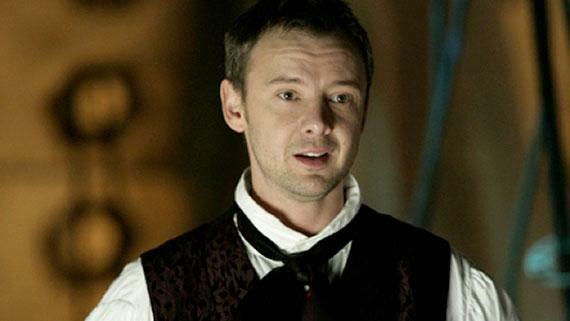 I’d always written this one off as being one of the worst – I say “one of” because of the Roberts version – criticising him for the high camp, the OTT-ness, the disco dancing and the overall stupidity of the two stories that the wonderful John Simm was presented with. But a few days before I sit here writing this I found myself, for reasons I’m still not entirely sure of, turning to my series three boxset and choosing to watch the three-part season finale Utopia/The Sound of Drums/Last of the Time Lords and I made an observation that I never thought I would: John Simm’s Master is a bloody brilliant villain! Simm’s Master debuts in Utopia’s closing moments. He appears in the wake of Sir Derek Jacobi’s version, when Jacobi’s Master is shot by his former lab assistant and is forced to regenerate. Simm smashes it within the first few seconds. The regeneration is over and the Master is born anew with a much younger body. All he does is laugh loudly. Within the next minute he defines how this incarnation will be: The antidote to David Tennant’s Doctor. It’s all there. He has a mouth that won’t stop, an affinity for flying a TARDIS, a sense of humour, a loud and brash personality, but unlike the Doctor there’s a sinister edge to all of this. You get the impression that this new Master is a complete and utter nutjob. And well… that’s because he is! In the next two episodes, which together pick up the pieces of that cliffhanger ending, Simm presents us with the Master in all his glory. When the Doctor and his two companions Jack and Martha arrive back in 2008 London the Master has already been there for ages waiting and biding his time to take his place as the conqueror of Earth – the fact that he is going to achieve this by abusing the political system has got Russell T Davies’s fingerprints all over it – and has just been elected Prime Minister by a landslide victory. We later learn that he could only be elected because of the void in the Prime Minister’s office left by the fall from grace of Harriet Jones (yes, you know who she is) making it the Doctor’s fault in the first place! While this is never really picked up on and attention never drawn to it I think the Doctor is definitely left feeling guilty over how he, and only he, made the Master’s latest scheme possible. This being the Tenth Doctor though, who can say if he really notices this? Still, this is something that cuts right to the core of what this Master stands for. He exists to deconstruct the Doctor. The Master’s plot is to use the office of Prime Minister to seize control of the UK, and from there conquer the world. The precisely-executed assassination of the US President sees to this and the subsequent decimation of Earth’s population, just because he can, seals the deal. But this is more than just conquering the Earth, this is a calculated attack on the Tenth Doctor and everything he stands for: He takes the Doctor’s beloved human race and turns them into cyborgs, he has these kill 10% of the humans of the present day, he rips the universe apart, he cannibalises the Doctor’s TARDIS. He even takes the opportunity to have the Doctor’s two companions robbed of their support by sending Torchwood off on a wild goose chase and taking Martha’s family into captivity. 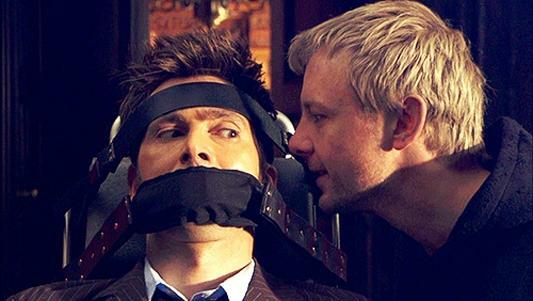 That he does this while taking a human companion along for the ride barely flickers on the radar opposite the personal attack he makes on the Doctor. Then, just to add injury to insult, he robs the Tenth Doctor – possibly the vainest character in all fiction – of his youth and strength. This is a Master who does business as usual and sets a plan in motion to conquer the universe, but there’s also a nasty edge to it when he goes for a full psychological attack of the Doctor himself and the values he stands for. The sheer scale of what he does with the powerful position offered to to him as Master Of Earth barely matters in this story, this is all about him bringing down the Doctor. It’s this that makes him a fresh new take on the character in these three episodes, offering a different approach than we’d got to see before. When the Doctor does defeat him he is shot dead by his wife – an implied victim of the Master’s domestic abuse – and as the Master lies dying in the Doctor’s arms he refuses to regenerate despite the Doctor’s desperate demands: One final way to spite his oldest enemy, as well as nicely foreshadowing the Doctor’s own unwillingness to accept death while in this incarnation. At first Simm's Master seems to be little more than an anti-Tennant, existing simply to present a villainous alternative to Tennant’s hero. He’s over-the-top and loud, with his disco dancing only adding to this reputation. But what struck me about Simm’s performance is how layered it all is. In every scene he’s doing something sinister or even downright pure evil. The cabinet scene is one example where he accuses all of the supporters of “Harold Saxon” of being traitors and hypocrites, jumping on board his campaign only because it looked like a good move politically. He then proceeds to gas every one of them, all the while pulling silly faces (“funny is like this”) and giving a daft thumbs-up signal to them, more than happy to be identified as insane. A few scenes later he discovers that a journalist has uncovered the truth about Saxon. He responds by giving her a brutal and painful (and slow) death as aliens butcher her. Then there’s the infamous scene as Rogue Traders’ Voodoo Child blasts out of loudspeakers and the Master dances his way through it. It’s just so daft… but let’s not forget he’s doing this as he has 10% of humanity killed just for the lols. Of course, dying in the Doctor’s arms isn’t the end for this Master! He had plans in place to live on and be resurrected by his followers, just in case the Doctor was successful in stopping him. When the resurrection was cut short it left him with a damaged body and an increase in energy, as well as an insatiable desire for food. He becomes a savage, determined to keep on living but motivated almost-exclusively by tracking down the source of the drumbeat in his head. There’s no reason why he couldn’t regenerate and fix the problems with his broken physical form. One must assume this was an extension of his arrogance from before or due to the belief that his insanely strong new powers were worth the agony he’s in. This time round the madness of the Master comes in what he does to survive rather than to conquer. Some have noted that the skeleton and the energy beams are both ridiculous and the way he wolfs down a chicken or a burger is just plain daft. They are right, but consider that he uses these beams to attack the Doctor and consider that by showing us how he eats regular food the production crew drive home the horror of what he does to those unfortunate homeless people when he consumes the flesh off their (still living) bodies. Once again it’s John Simm who makes it work. And once again he maintains that motivation to destroy the Doctor’s ideals. The one-on-one scenes the two share together throughout The End Of Time emphasise this, as the Master first remembers their time together back on Gallifrey as childhood friends, and later gloats over not just destroying the human race but recreating it in his own image. This time the Master’s defeat comes from his own arrogance. As his plan spirals out of control and he’s forced to side with the Doctor to defeat Rassilon. When he unleashes all of his energy at once to attack Rassilon and drags them both back into the Time War he goes down as a hero despite having entered the story as the villain, as the victim of Rassilon’s evil takes his vengeance on the man who made him. It’s a terribly cliché ending to the story but Simm makes us sympathise with him. 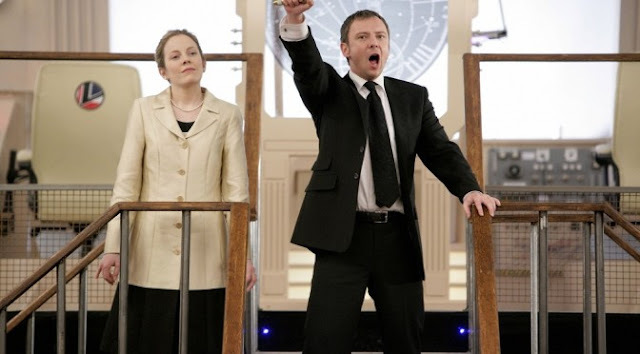 This expenditure of energy is presumably what made the Master regenerate into the next incarnation, the female one played by Michelle Gomez, and the strong amount of flirtation and friendship that she directs at the Doctor when they next meet is the logical extension of how Simm’s version died. 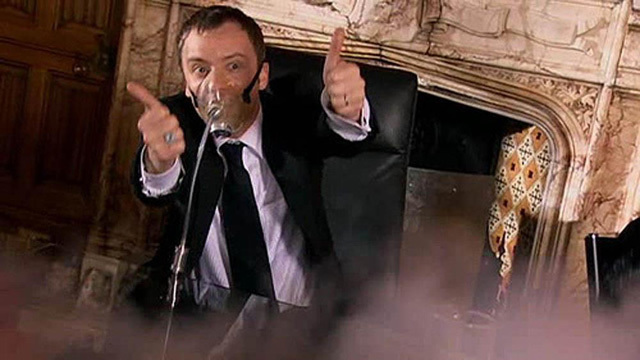 So that’s my analysis of John Simm’s portrayal of the Master: He’s not just the antidote to the Tenth Doctor, he’s not just a wannabee world conqueror, he’s also a character assassin to the Doctor who seeks to bring him down and desecrate everything he stands for. 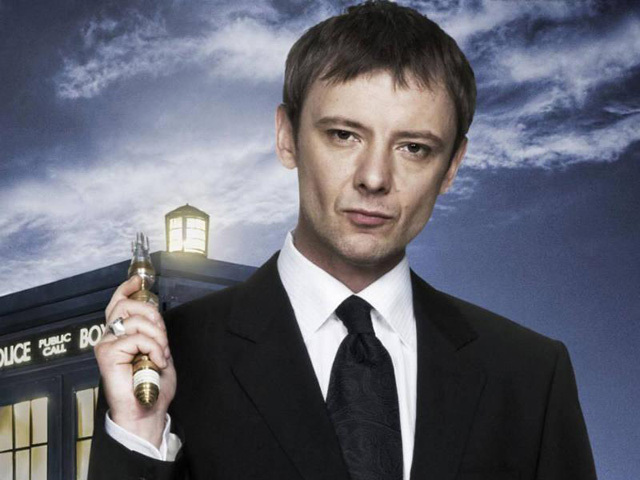 This was a radical new way to present the character and John Simm was an excellent piece of casting. It’s a shame that he didn’t get any particularly good scripts to work with, if only he’d been given something better then I may have realised just how wonderful a villain “Harold Saxon” truly was. If you, like I used to, look down upon this version of the Master then I urge you to take another look with an open mind. You may be surprised. I know I was!